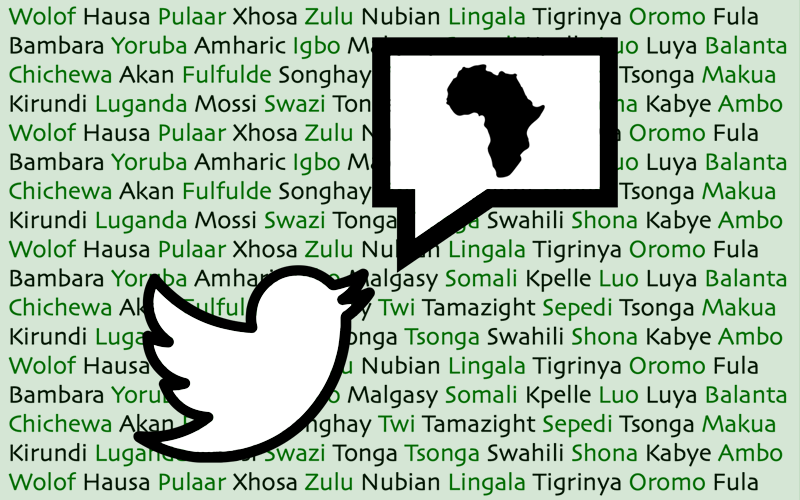 Starting on March 20 and running through the rest of 2019, African language digital activists will take turns managing @DigiAfricanLang, a new Twitter account highlighting the role technology and the internet can play in the promotion and the revitalization of languages on the African continent. A key aim of the Twitter campaign will be to recognize the commitment of Africans who are leveraging all types of digital and online media to raise the profile of their languages and cultures online and attract a new generation of speakers. As Twitter hosts, campaign participants will share their insights and perspectives on African languages, including their history, current use in online and offline contexts, challenges and new strategies of revitalization. While technology can play an important role, it is only part of a larger contemporary context that affect the vitality of indigenous languages. This campaign follows a similar, successful initiative currently underway in Latin America with the Twitter account @ActLenguas. Rising Voices has traditionally supported digital activists in Latin America, and this new campaign will help introduce similar efforts among African activists. Among the hosts scheduled to take part in the campaign are individuals working with the Yoruba, Igbo, Swahili, and Twi languages through platforms such as Wikipedia, learning apps and games, translation projects, online dictionaries, localization of digital security apps, and other social media campaigns. See here for the initial list of participants. This social media project was inspired by initiatives such as @IndigenousX in Australia, whose founder, Luke Pearson, provided important guidance in the planning stages. Global Voices’ own Instagram account is also managed by a rotating roster of community members and has been an excellent way for our diverse membership to share insights about the places where they live. While most participants will be tweeting in English, we are also seeking participation from activists in regions, such as West Africa and North Africa where the bridge language may not necessarily be English. You can support this campaign by following the @DigiAfricanLang account throughout 2019, and by retweeting messages you find inspiring or interesting. Hosts are also eager for feedback and will do their best to respond.